Posted on 17. November 2014 at 15:14. What is special about our project is its interdisciplinary nature. The archaeologists and buildings researchers deliver the contents, the designers put the information together and create scientifically correct, realistic 3D models, while, with their technical expertise, the computer specialists enable the real-time navigation of the model. Initially the terrain model was constructed. This would be the ‘building site’ for the model of the ancient city. It was a great surprise to see from the present-day topographical model that one can still clearly make out the ancient city extents, i.e. the flood-safe plain on which the Romans founded the original city. All the known historical topographical variations were eliminated from the current model. Additionally, the topography was adjusted to the available findings. Where there was no available data, it was interpolated. Thanks to the most recent excavations on Heumarkt and those for the laying-out of the new Underground system, the monumental nature of the city is becoming ever more evident. 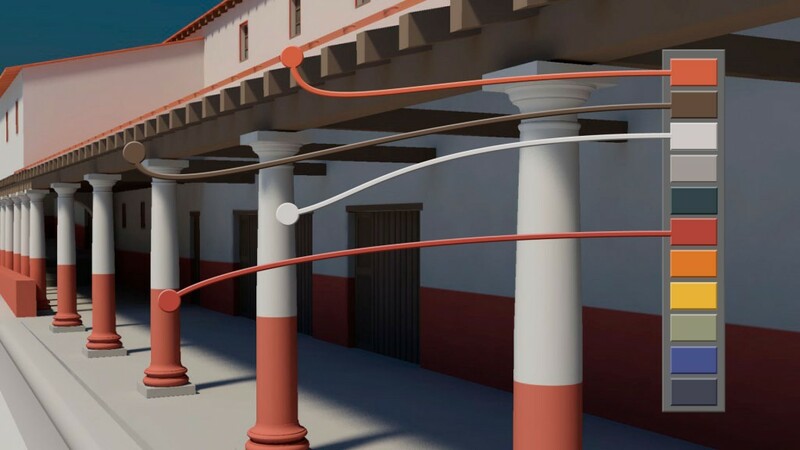 The buildings researchers and archaeologists brought together all the available reconstructions, and these were then re-worked, taking into consideration more recent findings and research results. 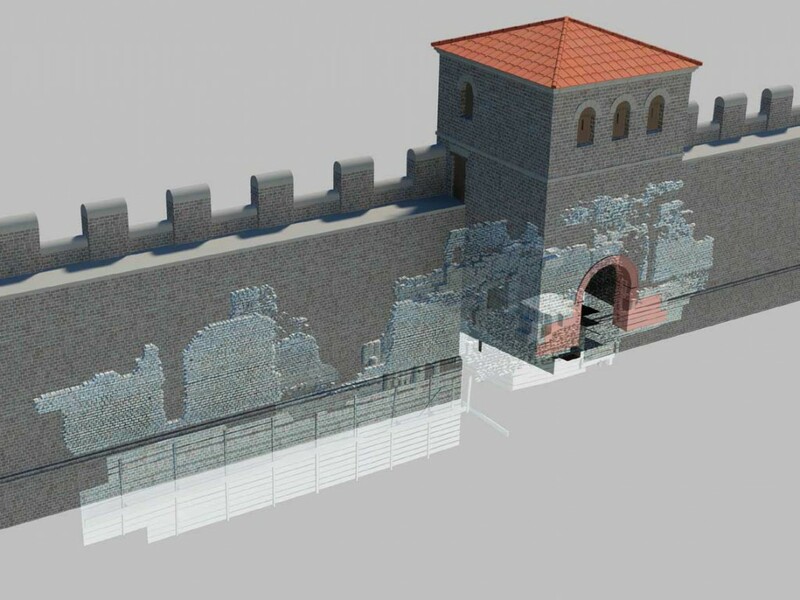 The results obtained were translated into 2D CAD drawings, which then served as the basis for the 3D reconstruction. The construction in 3D space was largely carried out using polygonal modelling. 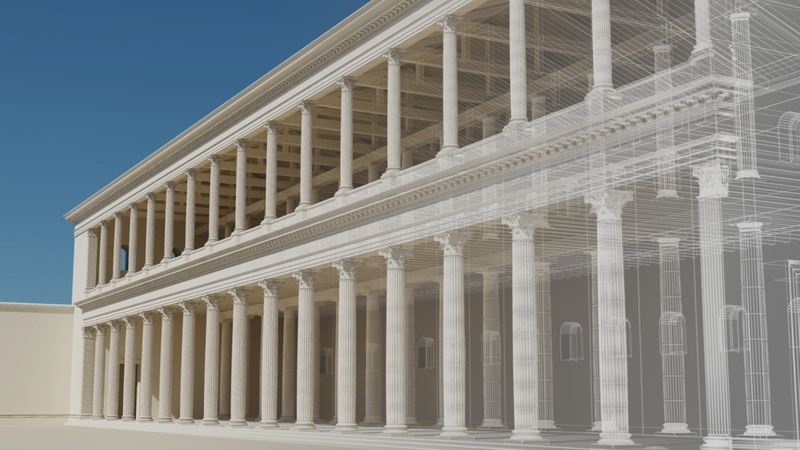 This method gives the highest level of control over the geometry and offers the best optimisation options for the real-time visualisation of the model. For reasons of efficiency, certain parts were, however, made using different modelling techniques, and then converted into polygonal models. 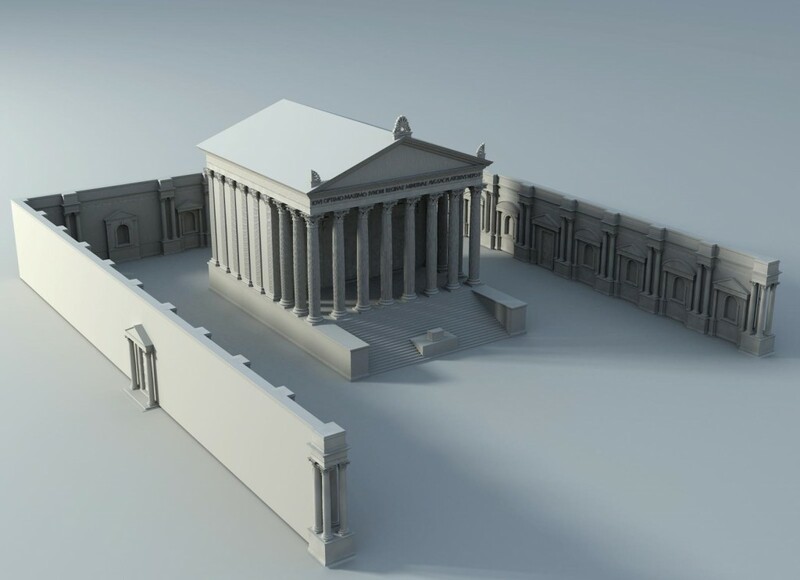 The reconstruction of Roman architecture brings with it its own unique set of challenges. The decorative appearance of the buildings contains details that are responsible for nearly half of the complexity of the model. 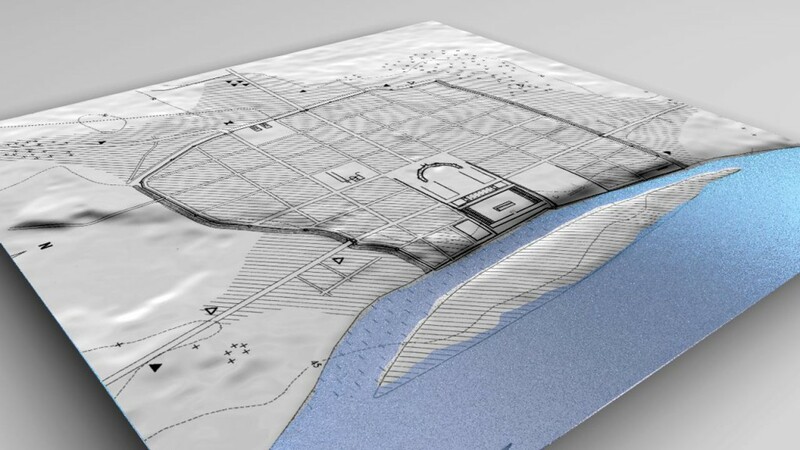 By employing the necessary low-polygon modelling techniques, our designers were able to produce a city model that was still rich in detail. The texturing of the models was carried out working in close cooperation with the archaeologists and buildings researchers. This was the latest possible point to make decisions on the appearance of the buildings. The virtual city model is a 3-dimensional information system, and it was necessary to choose an external appearance that would allow easy and quick access to information. In consultation with the participating archaeologists, we built up a palette that contained no more colours than necessary, but which allowed us to represent the materials in the model like limestone, whitewashed stone or wood, and to represent the ways in which the buildings were painted. It is also important to mention that there is no “right colour”. Rather, it was necessary to achieve a proper impression of the colour. Colours influence each other and are influenced by the prevailing light under which they are viewed. The colours are also influenced by the virtual source that was used to light the model. At the beginning of the texturing process we had to adjust the colour palette several times to take into account the developing lighting scheme. The result is a coordinated light-colour system. In viewing the model, lighting plays a secondary, but nevertheless important role. The direction of the light and the shadows provide the viewer with important information about spatial relationships. The incoming light picks out the shape of the buildings and the smaller details. The shadows that one object casts on another gives important information about how the one object is positioned with respect to another. In order to make the access to the model optimal for the viewer, we decided that we wanted the most natural lighting possible. We used a global illumination procedure, which produces particularly realistic daylighting by complex calculations of light reflections. This makes for a believable image, where the sizes of the buildings are made clear. The lighting information is actually stored in the surface textures themselves. This procedure is a primary step that must be taken, but it is, unfortunately, extremely time-consuming and processor-intensive. It does, however, provide extremely good realism, which would not normally be achievable in such a complex model using traditional real-time procedures. 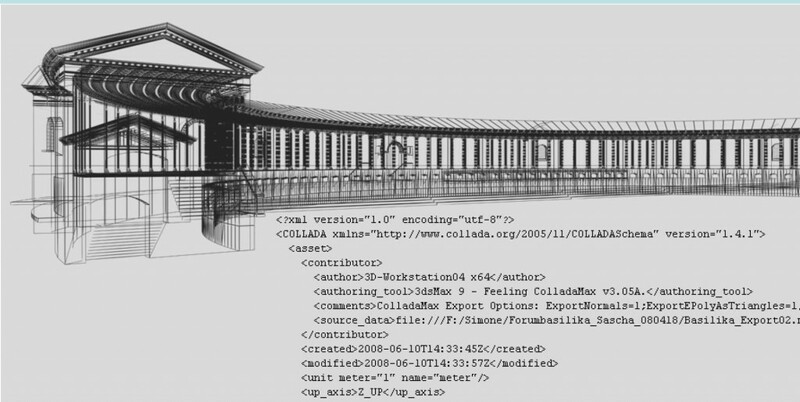 The export of the model data to the real-time engine was carried out using the Collada file format. This is an XML-based open standard, supported by a variety of international hardware and software manufacturers. The format encodes all the important information necessary for the exchange, guarantees access to the 3D models for future use and is, in addition, supported by many important 3D applications. For the real-time visualisation the individually constructed buildings and the terrain model were brought together into a combined model of the city. At present, the amount of data that needs to be processed comes to some 15 million polygons and around 3 GB of picture data. This amount of data and the requirement for unhindered navigation by the user, present special technical challenges for the real-time visualisation. For this reason, the data were prepared in a pre-processed state, compressed and converted into data structures that were optimised for the graphics hardware. 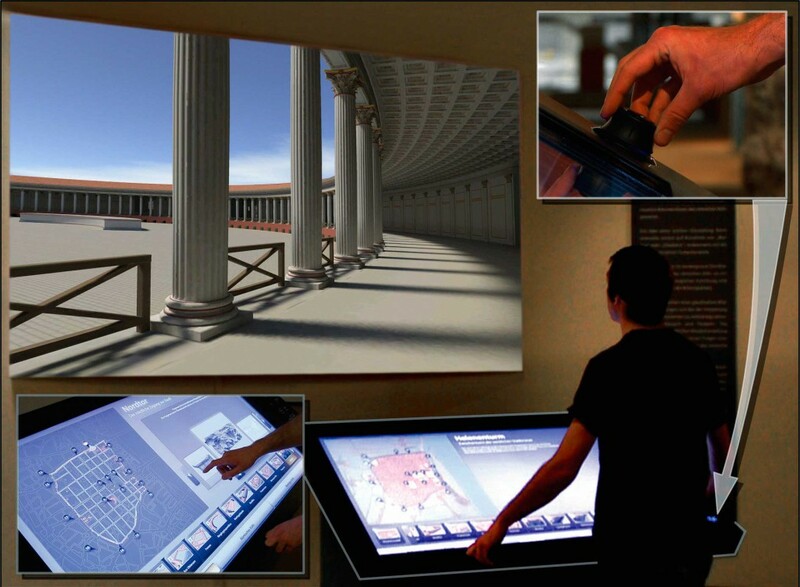 It is only with the help of this technology that we have been able to harness the potential of today’s computer hardware to turn Roman Cologne into an interactive experience.